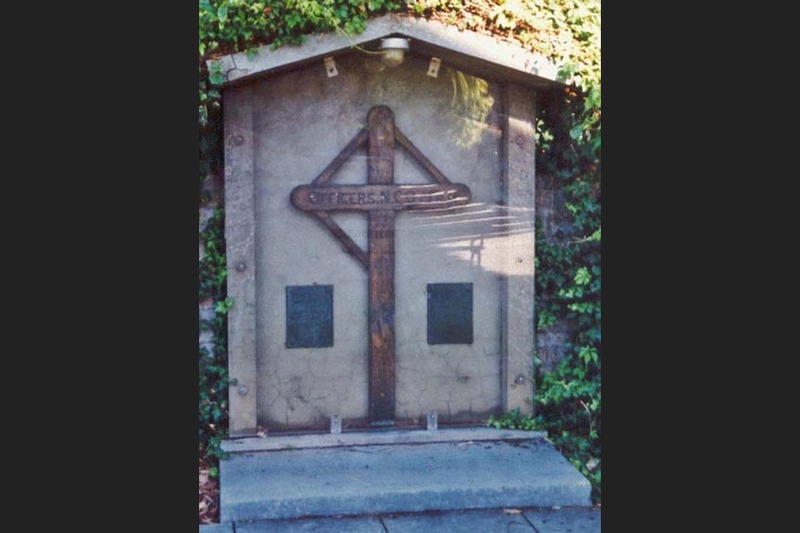 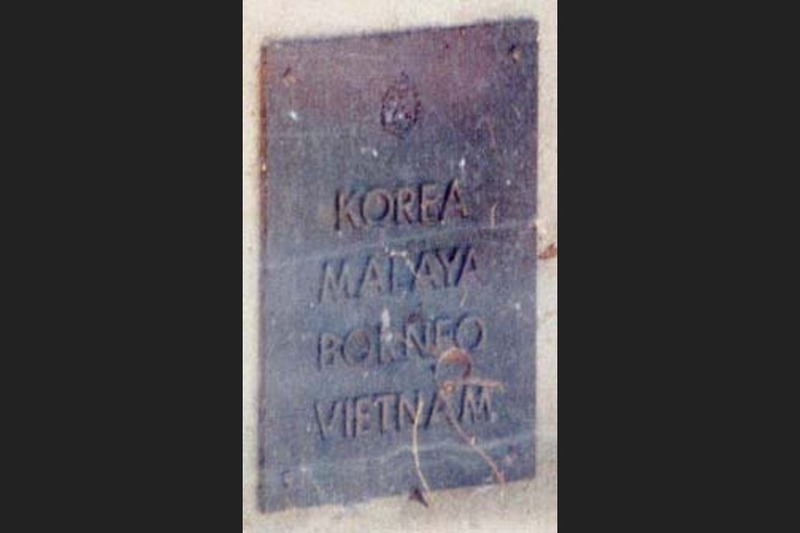 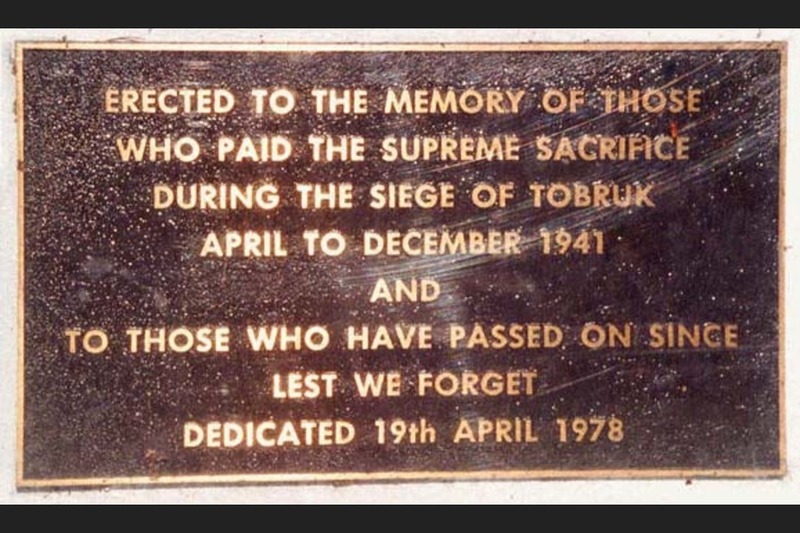 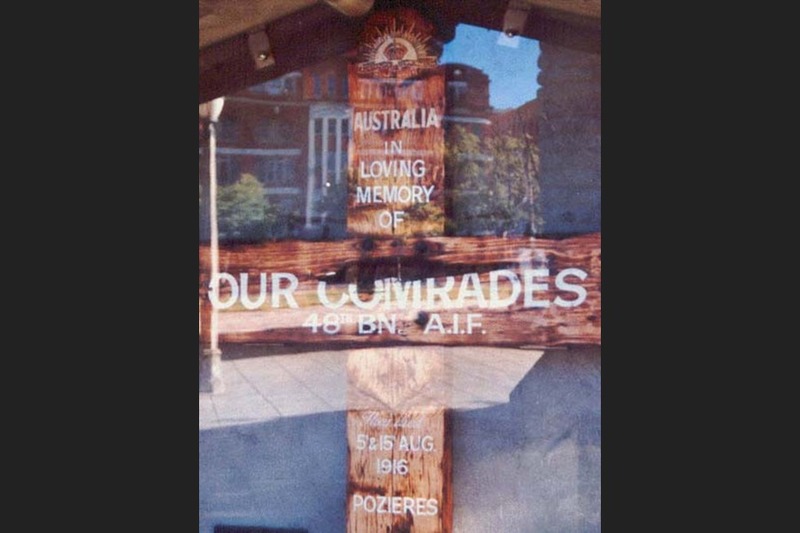 The first of six wooden crosses left to right, either side of the Wall of Remembrance, along the face of the Government House domain wall, each in a separate alcove and covered by a protective perspex screen. 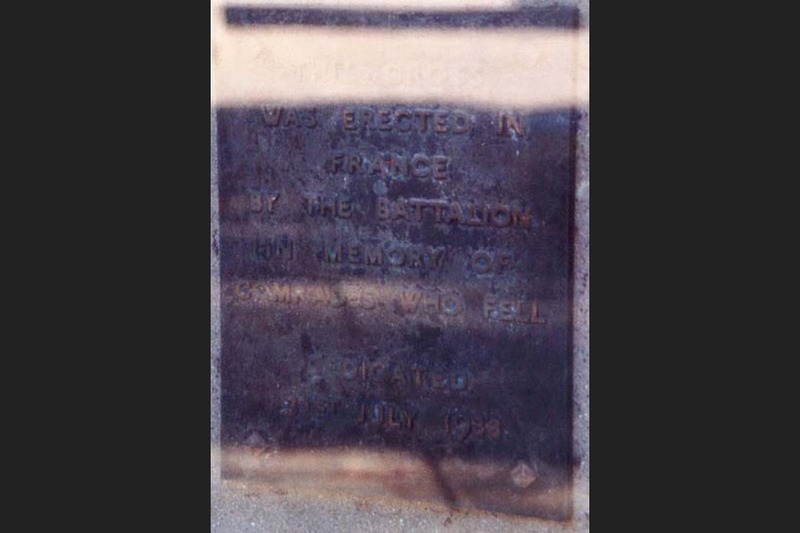 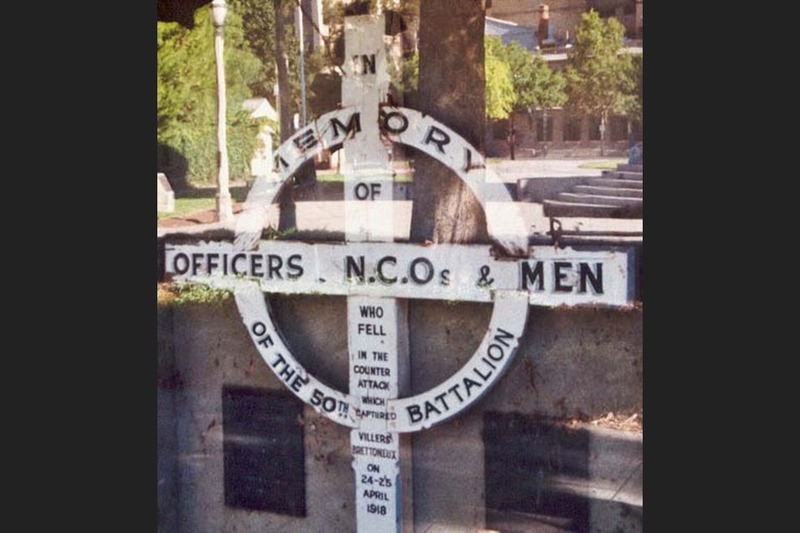 Located behind the South Australian National War Memorial. 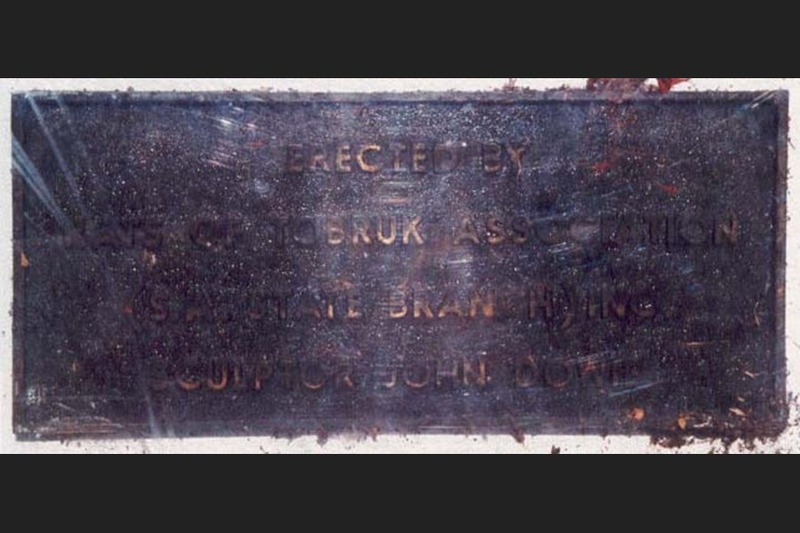 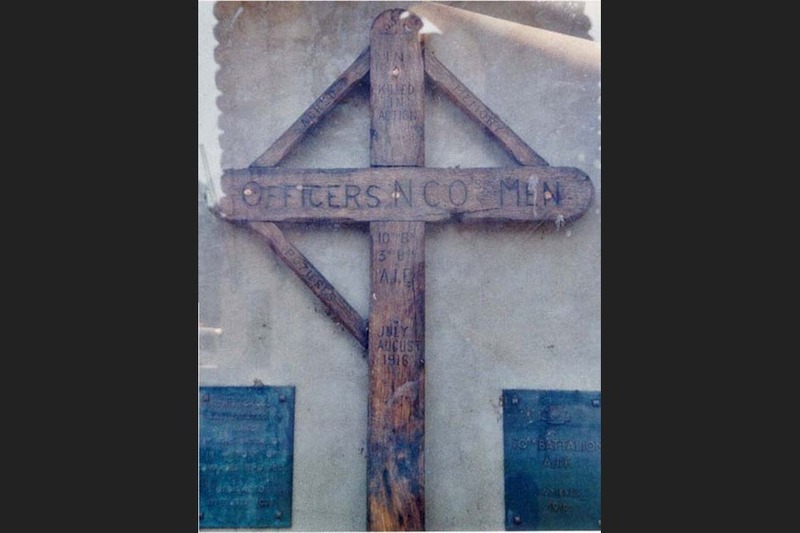 The lower left link is missing - the cross is in the condition as it was when recovered from the battlefield in 1918, as the Commonwealth War graves Commission began its work. 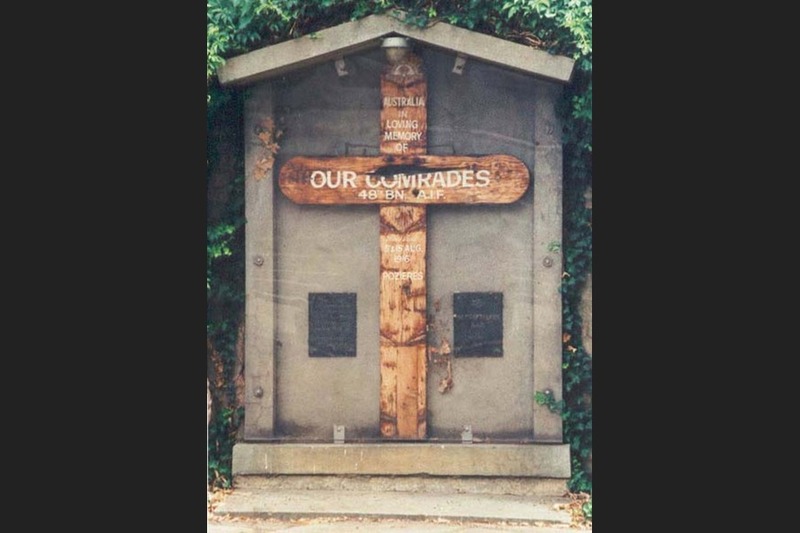 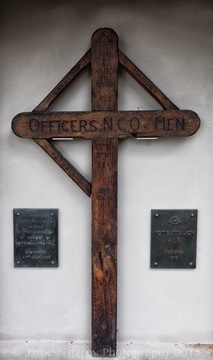 Built These crosses were originally fabricated in the Field by members of the Battalions at the time. 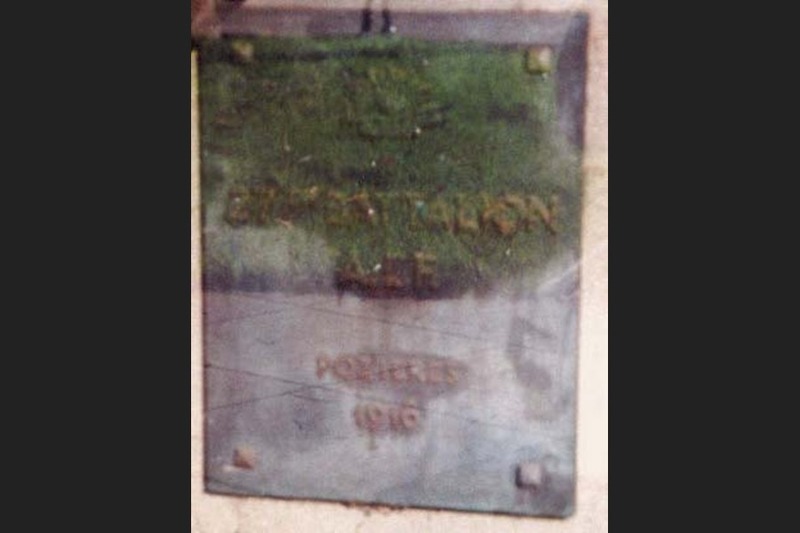 PECULIARITIES/DAMAGE: Requires Perspex covers removed and cleaning. 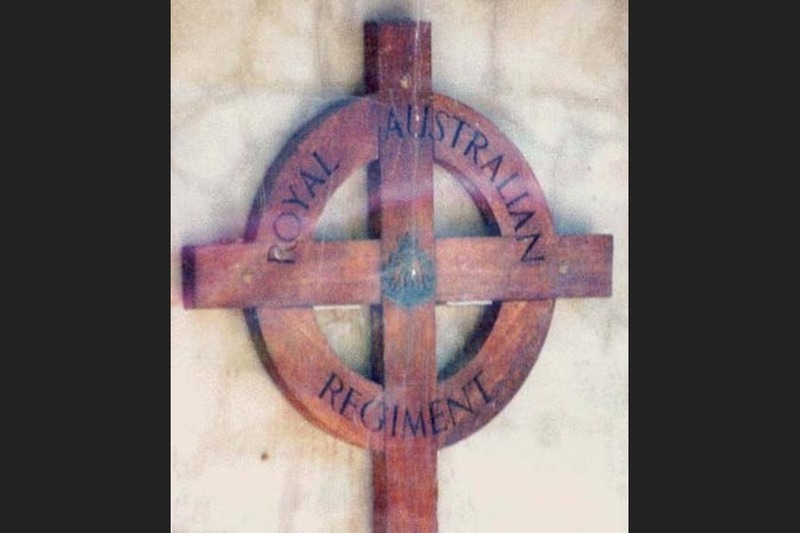 The first of six wooden crosses left to right, either side of the Wall of Remembrance, along the face of the Government House domain wall, each in a separate alcove and covered by a protective perspex screen. 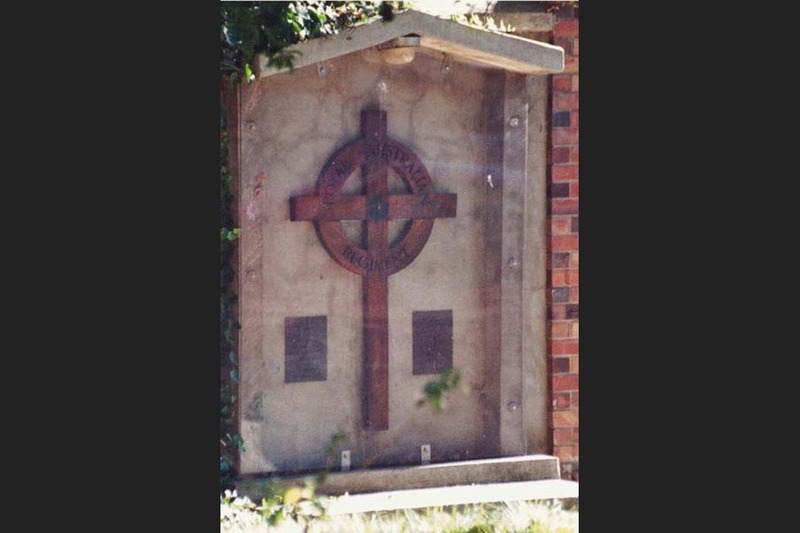 Located behind the South Australian National War Memorial. 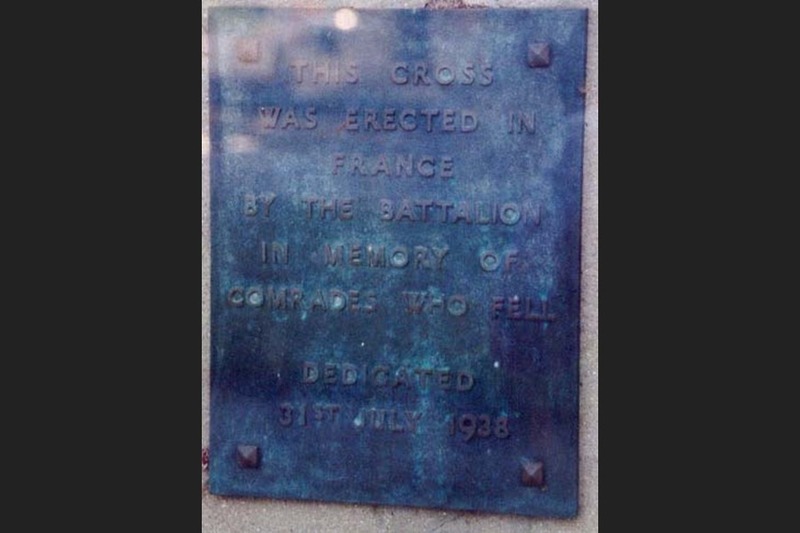 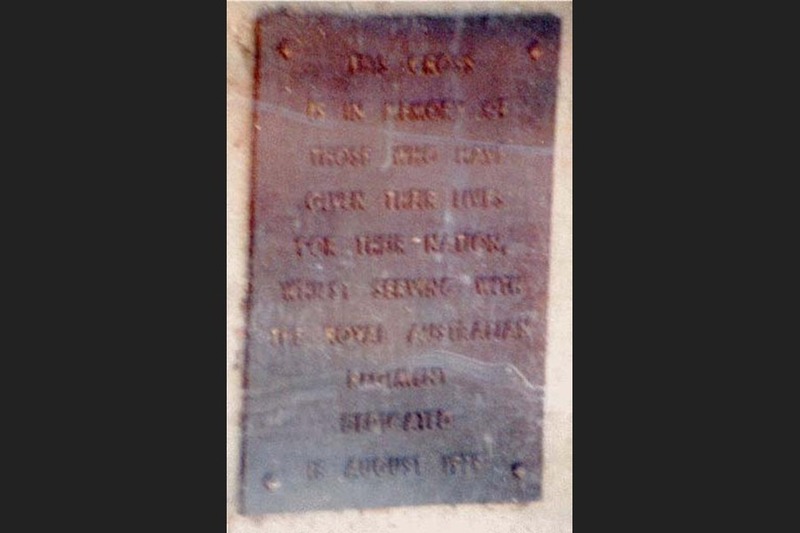 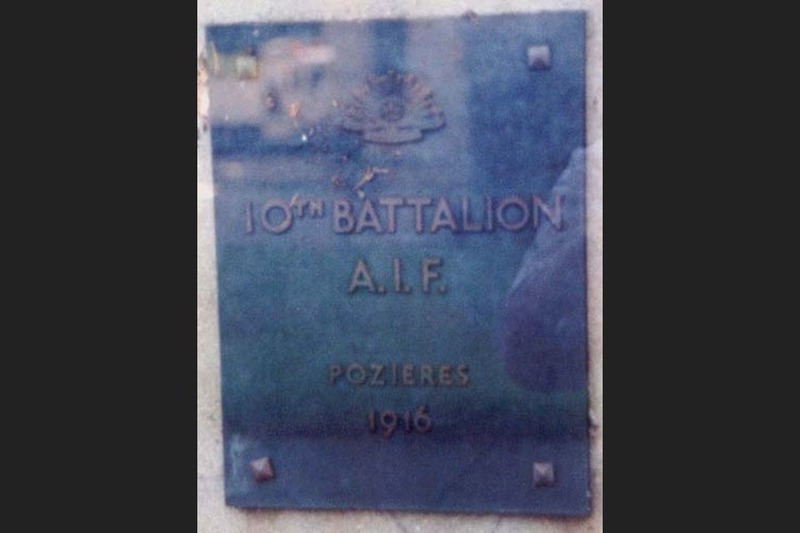 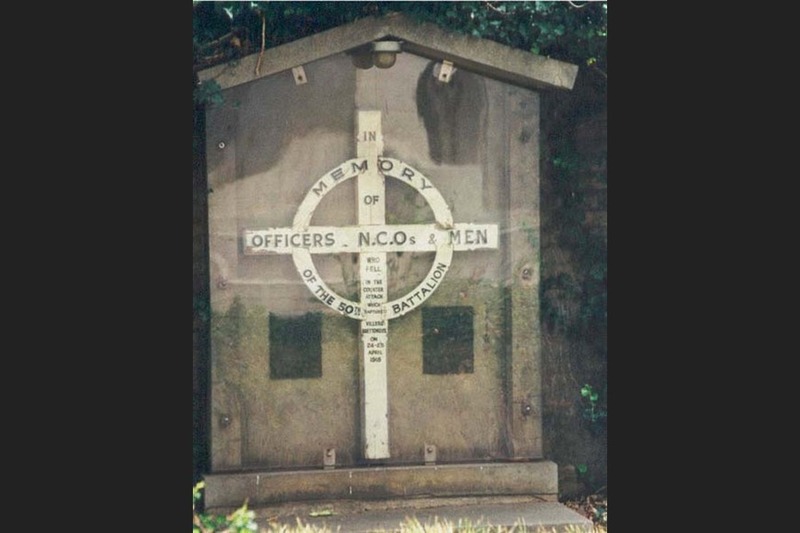 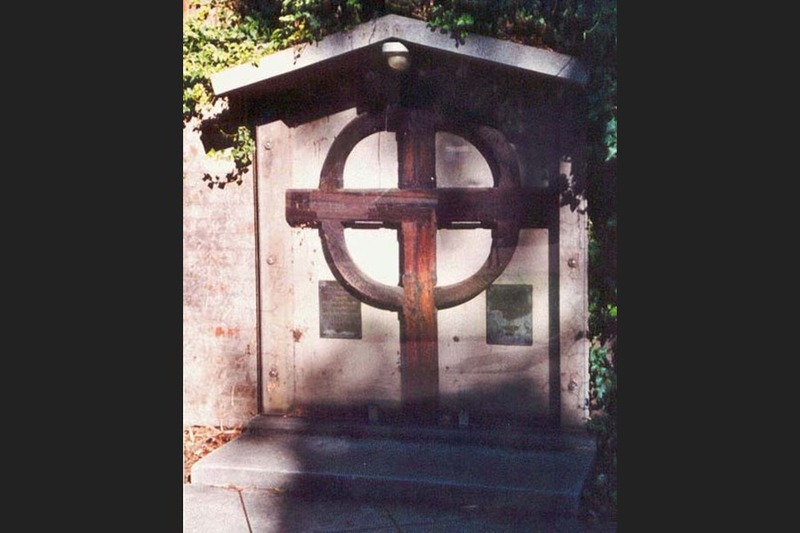 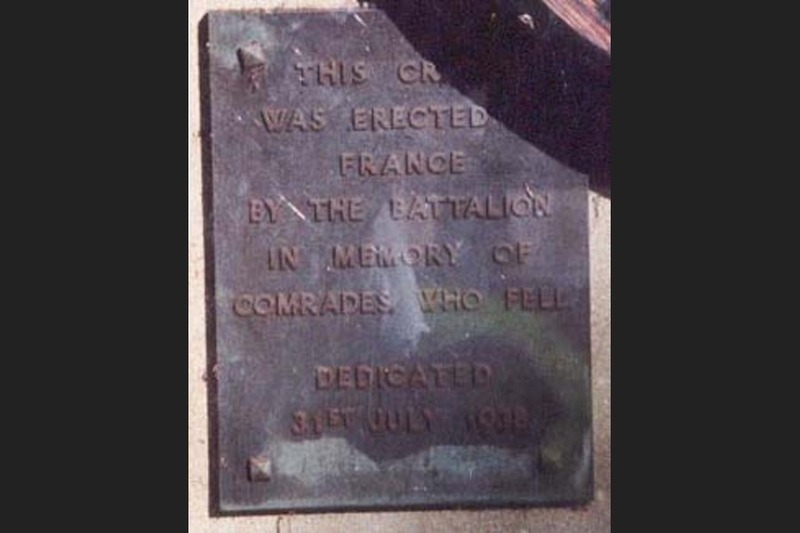 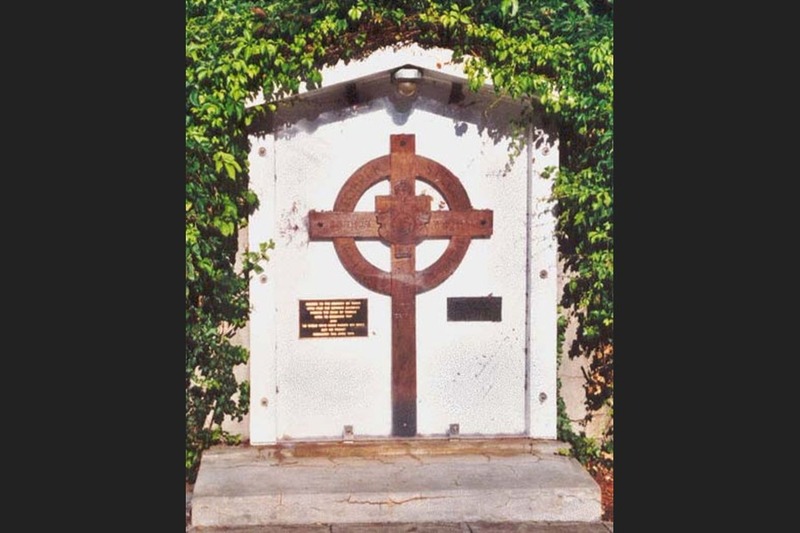 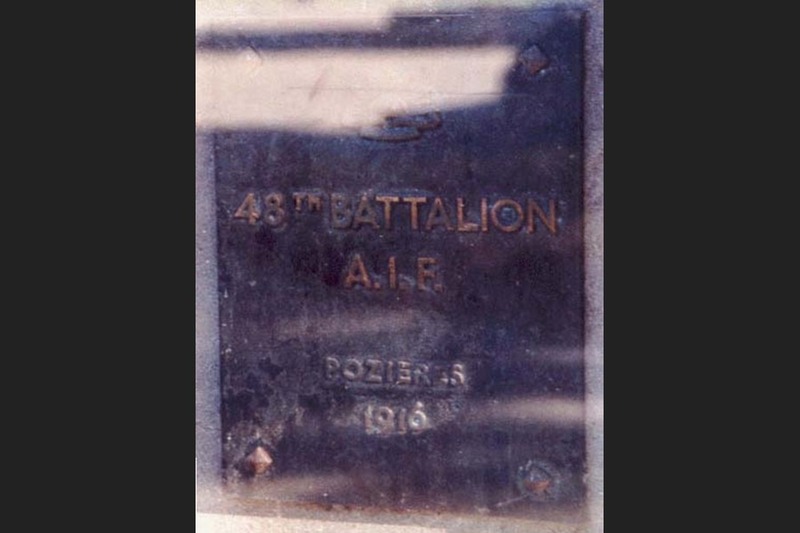 THE 10TH BATTALION CROSS This cross, in its natural colour is in the form of a Celtic cross except that the joining surround is not circular but straight. 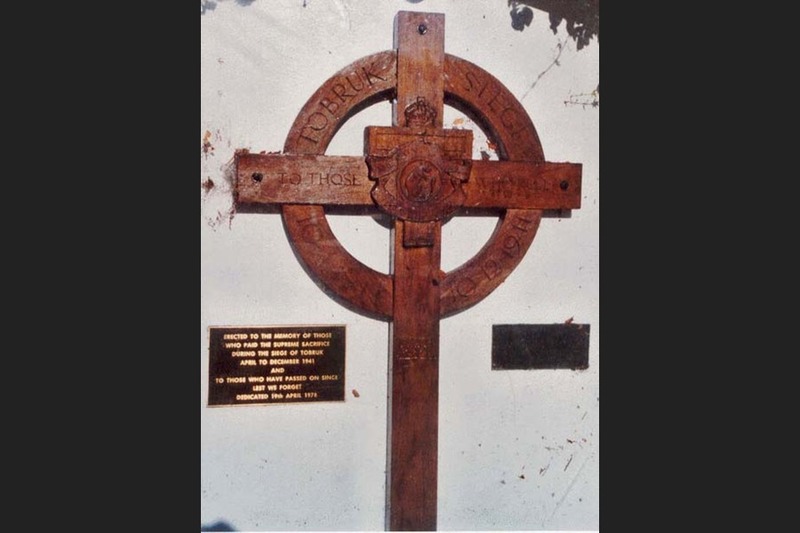 The lower left link is missing - the cross is in the condition as it was when recovered from the battlefield in 1918, as the Commonwealth War graves Commission began its work.